The biggest mental load in performance, that an athlete must cope with, is in dealing with failures – both in the moment and after the fact. Yes, it’s the obvious ‘failure’ associated with a loss. Yet, more significant, and less obvious, are the micro ‘failures’ that accumulate over the course of a game (and even season). It’s the missed shot. Turnover. Mis-timed rebound. Blown block out. And, the almost ‘failures’ of the bad pass the was deflected (and was a better catch than delivery). Top that off with the things that could go wrong. And, the things they are not doing that will become obvious oversights later (e.g. not talking on defense, a missed coverage, poor close out, the 70% sprint in transition, the screen that kinda got contact… you know what I mean!). The other thing that weighs on them: other people’s expectations. Worry. Worry is the biggest of the mental loads (that an athlete must be taught to cope with). An athlete’s brain works overtime cycling through various types of worries. help an athlete ‘clear their mental cache’ of as many of them as possible. To borrow from “Coach Godin”… It’ll free up their processor to do the useful stuff: make decisions, at speed, against contact. As you seek out opportunities to grow in your coaching, and you find yourself in a room where they’re not talking about how to coach this kind of stuff, you might want to consider changing rooms—especially if you believe that 90% of the game is mental. Looking to deeper on this? Read about the ways our brain manages overload and how to improve it. Mental toughness: What is it? How do you teach it? 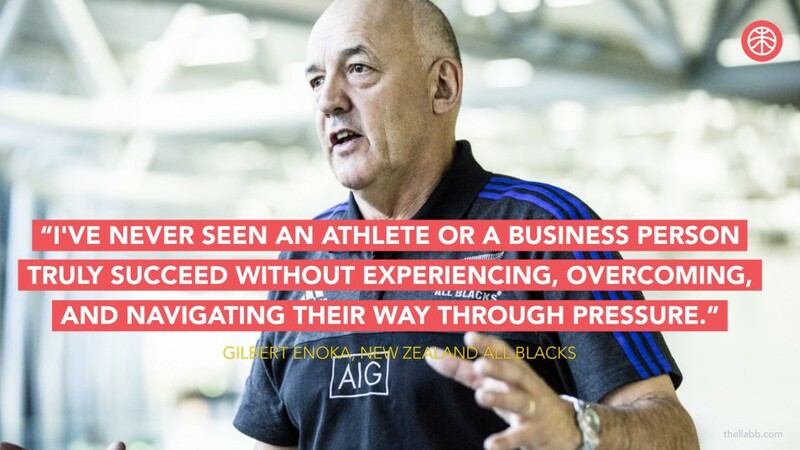 Here’s how the All Blacks’ mental skills coach believes that an athlete can’t succeed without experiencing, overcoming, and navigating through pressure. From Doug Lemov (Teach Like a Champion): A Q&A on mindfulness and performance with Stu Singer. Previous Article Per Person. Per Context.